Dwr y Felin School pupils and staff celebrating the National Quality Award for being the first secondary school in ABM to achieve this award. Having gone through the seven Healthy School topics of Food and Fitness; Environment; Personal Development and Relationships; Mental Health and Wellbeing; Safety; Hygiene and Substance Use and Misuse, the school was commended on putting the wellbeing of pupils and staff as the forefront of everything that they do. Pupil voice is a strength and pupils feel listened too and safe at Dwr y Felin. The food that the school provides follows strict nutrition guidelines to ensure pupils are given a choice of healthy food, daily. As a result of the work that the school does, they have been asked to complete two case studies to highlight the good work and practice across Wales, one being with the work that the Wellbeing Ambassadors do and the other being the close link between the Canteen and Food Technology staff. The school are delighted to achieve this accolade and are proud of their achievements for health and wellbeing. 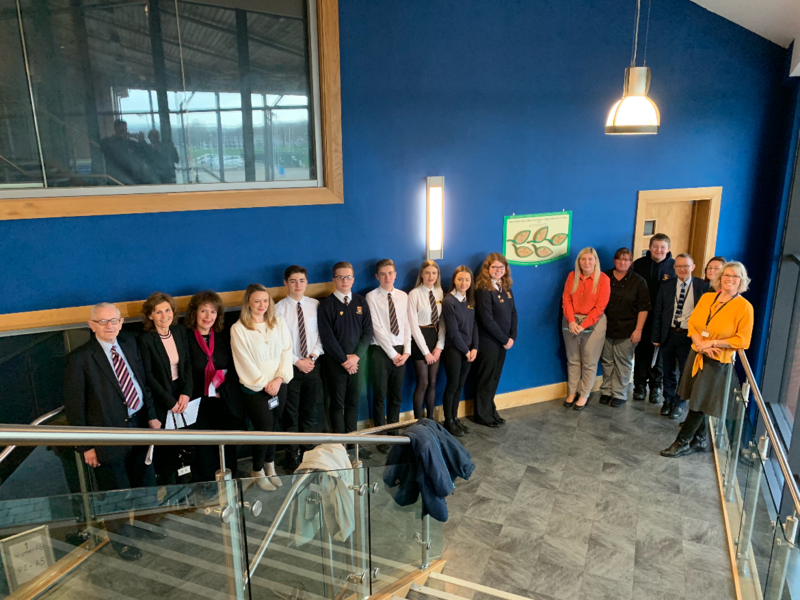 The school would like to thank Aled Evans, Director of Education; Bethan Syed MP; Catie Parry and Michelle Jaynes from Healthy Schools Wales for attending our celebration ceremony.